Our world culture is founded on the assumption that the Big Bang gave rise to matter, which in time evolved into the world, into which the body was born, inside which a brain appeared, out of which consciousness at some late stage developed. As a result of this "matter model," most of us believe that consciousness is a property of the body. We feel that it is "I," this body, that knows or is aware of the world. We believe and feel that the knowing with which we are aware of our experience is located in and shares the limits and destiny of the body. This is the fundamental presumption of mind and matter that underpins almost all our thoughts and feelings and is expressed in our activities and relationships. The Nature of Consciousness suggests that the matter model has outlived its function and is now destroying the very values it once sought to promote. An exploration of the nature of consciousness has the power to reveal the peace and happiness that truly lie at the heart of experience. Our experience never ceases to change, but the knowing element in all experience--consciousness, or what we call "I"--itself never changes. The knowing with which all experience is known is always the same knowing. Being the common, unchanging element in all experience, consciousness does not share the qualities of any particular experience: it is not qualified, conditioned, or limited by experience. The knowing with which a feeling of loneliness or sorrow is known is the same knowing with which the thought of a friend, the sight of a sunset, or the taste of ice cream is known. Just as a screen is never disturbed by the action in a movie, so consciousness is never disturbed by experience; thus it is inherently peaceful. The peace that is inherent in us--indeed that is us--is not dependent on the situations or conditions we find ourselves in. 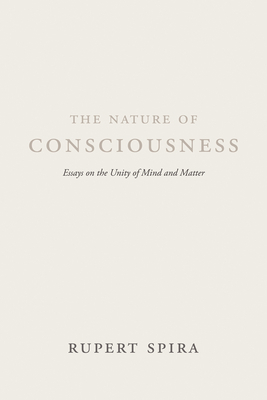 In a series of essays that draw you, through your own direct experience, into an exploration of the nature of this knowing element that each of us calls "I," The Nature of Consciousness posits that consciousness is the fundamental reality of the apparent duality of mind and matter. It shows that the overlooking or ignoring of this reality is the root cause of the existential unhappiness that pervades and motivates most people's lives, as well as the wider conflicts that exist between communities and nations. Conversely, the book suggests that the recognition of the fundamental reality of consciousness is the first step in the quest for lasting happiness and the foundation for world peace.